Northfield Vision Plan 2040 » Join Us! Thank you to everyone who participated in the Subareas Visioning Workshop. If you were not able to participate, you can still share your ideas by completing a questionnaire or making a map. 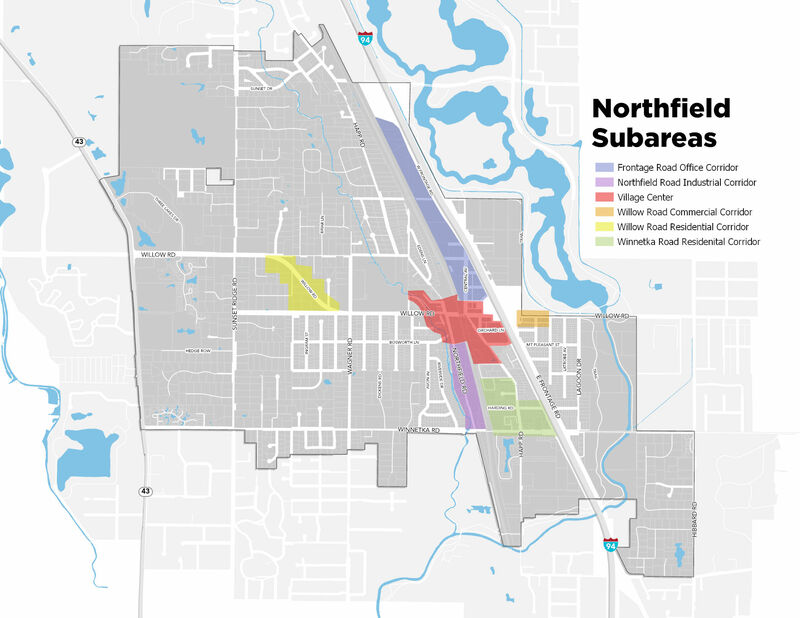 On Thursday, April 4th from 7:00-8:30 pm at the North Shore Senior Center the Village of Northfield is hosting the Subareas Visioning Workshop to help create detailed recommendations for key areas of the community including the Village Center, Frontage Road corridor, and the Northfield Road corridor as shown on the map below. Can’t make the workshop? We still want to hear from you! You can utilize map.social, an interactive community mapping tool, to share your thoughts about how you envision the subareas in the future. Please click here to make your map.